It is estimated that more than 75% of the population has digestive problems. Getting into practice I never realized this was such a huge problem, but day after day when patients came in they reported having digestive problems. It makes sense when you look at the Standard American Diet (SAD) as most of the food we are putting into our bodies is highly processed. We require certain nutrients on a regular basis and without those nutrients our bodies can't function and heal properly. 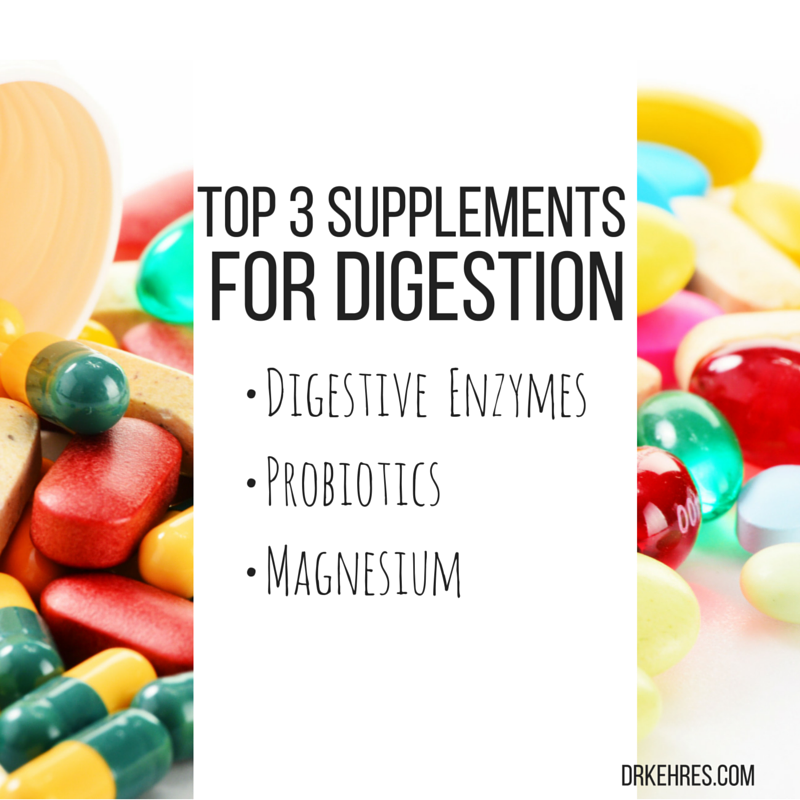 Depending on what the digestive problem is there are 3 main supplements that typically work really well for people. These enzymes are in the stomach and gut for the purpose of breaking down food. When we constantly eat unhealthy food our concentration of enzymes can be thrown off. For example, if we are eating a mostly carbohydrate based diet then we are going to keep the enzymes made for breaking down carbohydrates but the other enzymes for fat and protein might be minimized. If you have not been eating much protein or fat and go back to eating it, your body might not be able to break it down completely causing digestive stress and pain. Digestive enzymes can help to break down the food you are putting into your stomach more efficiently. Many people lose the ability to break down lactose and so they can't eat many of their favorite products. Digestive enzymes typically have lactase in them which helps to break down lactose allowing people to eat things like ice cream and cheese without digestive problems. Suggestion: 1 - 6 digestive enzymes per day. Typically they work best if taken 30 minutes before a meal. Many people need to start by taking 4 - 6 per day, before meals. Once their stomach problems start to improve they can reduce the amount of digestive enzymes they are taking on a regular basis. Some people with chronic digestive problems will probably need to continue taking an increased amount and taking them before their meals. The flora of the intestines is important for many reasons including boosting immune system, healthy digestion, regulating inflammation and much more. Probiotics are one of the main players in how well these processes move forward. Historically we would get our probiotics from fermented foods and dirt that was found on our food. In our clean and sanitary world we don't typically eat any dirt and many people don't like fermented foods. This causes less probiotics to be present in the digestive system than we need. Also, research has shown that a diet concentrated in processed carbohydrates promotes unhealthy bacteria in the gut to grow. When this happens the ratio of good bacteria to bad bacteria is unfavorable and digestion doesn't function as it should leading to gas, bloating and pain. Suggestion: 1 probiotic per day or every 4-5 hours if you are having a flair up. Supplementation with probiotics are similar to that of digestive enzymes. It really depends on how you are responding. If you are sick and take a probiotic and get relief for 4 - 5 hours, then take another one every 4 - 5 hours until you start to improve. Once you are back on track it would probably be wise to continue taking at least 1 probiotic on a daily basis. As one of the most prevalent supplements used in the body, magnesium has a number of health benefits. One of the most powerful benefits is as a muscle relaxer. This can possibly help with anything from headaches, cramps, heart palpitations and digestion, especially constipation. If you are eating highly processed foods low in fiber on a regular basis, the body is going to absorb as many nutrients out of the food as possible leaving very little to pass through the digestive tract to be eliminated. This is one of the main causes of constipation. Adding in magnesium can be really beneficial for anyone suffering from constipation. It helps to relax the digestive tract and allows everything to start moving again. Suggestion: 400 - 600 mg per day. The main side effect of magnesium is diarrhea, which is a welcome response for someone who has chronic constipation. Some physicians suggest taking magnesium until you are going to the bathroom more frequently. Then once you get to that point you would back to reduce the amount of magnesium you were taking and that should get you closer to having a regular bowel frequency. If you are someone with severe digestive problems, you need to be doing all three of the suggestions above, or at least two of them in combination to see the results. I also recommend eliminating foods that are causing distress and eating probiotic rich foods on a regular basis for maximum benefit. If you are taking medications, be sure to consult with your doctor before adding in supplements. Dr. Dan Kehres, DC is a Saginaw Chiropractor and Midland Chiropractor at Kehres Health & Chiropractic. We are passionate about changing people's lives through chiropractic, nutrition and teaching true health. We believe that true health is taking all facets of your life into consideration when striving to be healthy - physical, mental, chemical and nutritional. Migraine headaches are one of the most debilitating things that someone can deal with on a regular basis. It is estimated that over 13% of the population suffers from migraines and many of those people are chronic sufferers. Everyone who has migraines has different symptoms and different triggers. Research hasn't gotten to the root of what causes migraines and it most likely never will as everyone has different triggers for them. When it comes to natural treatments there are three main supplements that have been found to help reduce the frequency of migraines and to also help once someone is already suffering from migraines. Magnesium is one of the most bio-available and required elements in the body. It helps with our metabolism, energy, digestion and also relaxation of muscles. Many research articles have correlated low magnesium levels with increased frequency of migraine headaches. The relaxation effect of magnesium is thought to relax blood vessels and reduce frequency and intensity of migraines. 400-600 mg of magnesium per day has been found to have the most benefit. This supplement is great to help restore energy in your cells and allow the mitochondria to relax. It's also a great anti-oxidant and can help with heart function and circulation as well. 90-120 mg of CoQ10 in the ubiquinol form has been found to have the most benefit for migraine suffers. This vitamin is vital in creating energy in the body and it also helps to break down protein, carbohydrates and fat for energy. Many studies have show that people who have good levels of Vitamin B2 has less frequent migraines and if they do have one their intensity and duration was decreased. For best results try taking all three of the supplements listed above together. If you are only going to take one supplement then I would suggest taking magnesium, as it has many other health benefits besides just preventing migraines. Kehres Health & Chiropractic is a wellness facility with locations in Saginaw and Midland, Michigan. We are passionate about changing people's lives through chiropractic, nutrition and teaching true health. We believe that true health is taking all facets of your life into consideration when striving to be healthy - physical, mental, chemical and nutritional. Walking through the grocery store is typically going to be an emotional roller coaster for most people, especially if they are hungry while doing it. Food companies have done a lot of research on just the right combination of ingredients that will get customers hooked to their products and make them come back for more. Research has found that there are three types of cravings people have: sugar, fat and salt. 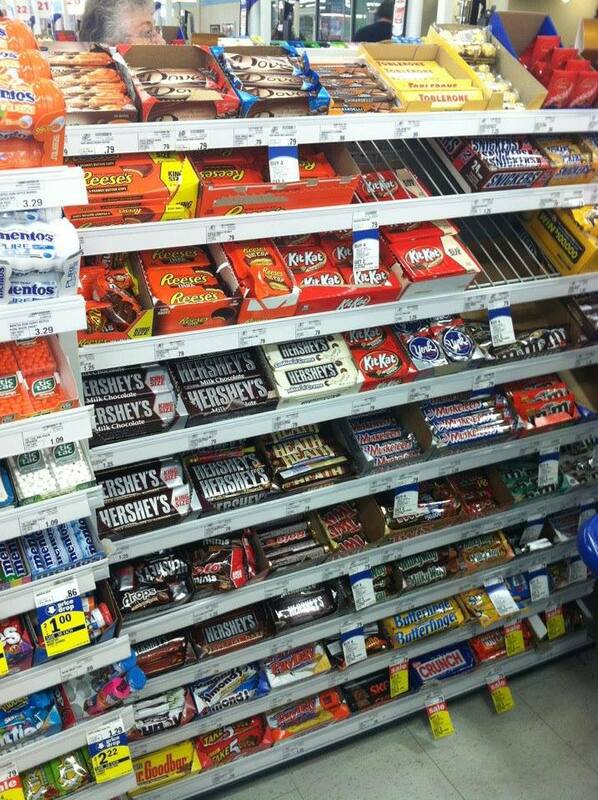 Each product on the shelf is going to fall into one of these categories. Beyond that, they also know the exact amount of sugar, fat and salt to put into any products to maximize dopamine release which stimulates pleasure while you are eating the product and also increases your cravings for that product the next time you are hungry. Sugar is the biggest offender and it's not by mistake. Sugar stimulates the same neuronal pathways and to the same extent as cocaine. Our bodies innately track down sugar based products because before the industrial revolution we didn't have grocery stores lined with processed carbohydrates like we do today. Carbohydrates were only available seasonally for the most part and it was much harder to over eat them. It's also about product placement. When checking out the from grocery store many people are hungry because they essentially just got done working out physically and mentally. Their bodies blood glucose is going to be a little lower than normal and they walk into the checkout lane where all the candy and processed carbohydrates are. Marketing companies know exactly what they are doing by getting their product in the checkout line. Stressed out, hungry people are going to have a much harder time resisting a candy bar. Especially when they have to wait in line for 10-15 minutes while the people in front of them are checking out. Make sure you never go shopping hungry, and if you are going to be shopping for a long time try to bring a healthy snack along with you. You can't be truly healthy until your gut is healthy. Fermented foods are one of the best ways to normalize gut function and repopulate your digestive system with good bacteria. Many cultures have consumed these for centuries yet today the only fermented food most people consume on a regular basis in yogurt and cheese from unhealthy sources. 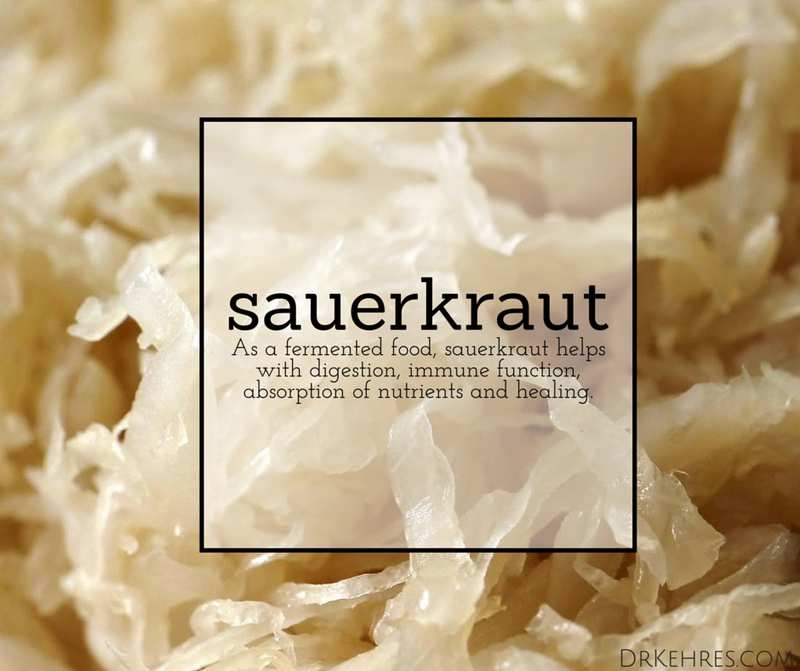 Sauerkraut, kimchi, natto, kombucha, pickled vegetables, grass fed kifir, yogurt and cheese are all examples of healthy fermented foods. We have always heard the phrase, "food is medicine" and it has never been more true. Food either increases or decreases inflammation inside your body. If you are constantly eating inflammatory foods then you are promoting sickness and disease. Before you know it you are going to be heading to the pharmacy for medications. Instead of going to the pharmacy start heading to your local farmers market's and load up on fresh local foods. Typically these foods are less expensive, have less chemicals used on them and are more nutrient dense.